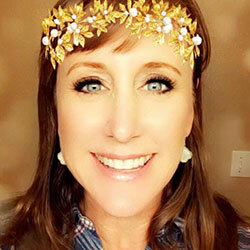 Marianne Bornhoft, an award-winning REALTOR since 1995 and currently with Windermere Manito/LLC, is the past President of The Spokane Association of REALTORS. She is also a Director for the Washington Association of REALTORS and the Washington Association of REALTORS Vice President Elect of Information Systems. In addition, Marianne is a past Spokane Association Director. In 2014, she won the Spokane Association of REALTORS award for REALTOR of the Year and the Inland Business Catalyst's Top Women in Business Mover and Shaker award. In 2012, she received the Spokane Association's REALTOR Achievement Award. She was also awarded the Spokane Association's 2009 Excellence in Professionalism award. In 2008, Marianne was voted as #2 REALTOR in Spokane by the Inlander's reader Best of Issue. In 2007, she received The Catalyst's yearly award for top 20 under 40 rising stars in business. Marianne won Rookie of the year in 1995. She was also the first REALTOR in Spokane to receive an E-Pro Certification. Furthermore, Mrs. Bornhoft has earned Senior Real Estate Specialist designation (SRES), and The GREEN designation. Marianne believes in giving back. In 2011, she won the National Applebee's Community Partner Award for volunteerism. Currently, Marianne sits on the Project Beauty Share. In addition, with every house sale, a portion of her commission goes to the Windermere Foundation. Previously, Marianne was on the Visit Spokane Board, the Junior League Board of Spokane, the Salvation Army Board, the Inland Northwest Health Services Foundation Board, the West Plains Business Association Board, the Spokane CCIM Board, and the Built Green Board for the Spokane Home Builders. Inland Northwest Business Watch, by Matt Behringer, is another excellent source for up to the minute business news. Inland Northwest Business Watch was founded in early 2012 (with some posts in 2011). This site is a blog format geared towards keeping the people in the Spokane/Coeur d'Alene area informed on new businesses openings, expandings and closings in the local area. You can sign up for their emails at inlandnwbusiness.com. Forget that New Year's Resolution. 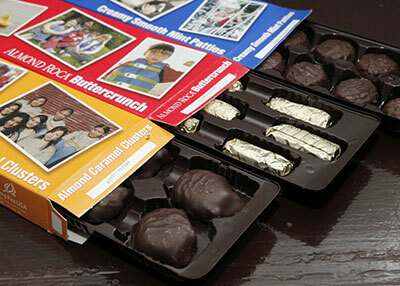 Camp Fire Inland Northwest's annual Candy Sale starts this Saturday and runs through February 26. Over 150 children, ages pre-kindergarten through high school, will hit neighborhoods and store fronts in Eastern Washington and Northern Idaho, hoping for sweet success. While the candy sale only runs for a short time each year, the children learn lessons that last a lifetime. Kids learn life skills such as confidence, integrity, persistence, goal setting, money management and personal responsibility. These skills enable them to become successful adults and community-minded leaders. They also earn their way to attend summer camp. Candy Sale product choices include the famous Chocolate Mint Patties, Caramel Almond Clusters, Almond Roca, P'Nuttles Toffee Peanuts and Camp Snax trail mix. Each package is $6. Proceeds from the sale support Camp Fire's youth programs, and more importantly, give kids the opportunity to attend summer camp at Camp Dart-Lo in Spokane or Camp Sweyolakan on Lake Coeur d'Alene. For many kids, summer camp is the best week of summer, and Camp Fire believes all kids should have the opportunity to attend. You can find Camp Fire sellers at Rosauers, Super 1 Foods, Yoke's, Fred Meyer and select area Wal-Mart stores in the Spokane and Coeur d'Alene areas. Camp Fire Inland Northwest, chartered in 1914, serves boys and girls in 19 counties in Eastern Washington and Northern Idaho. Last year Camp Fire Inland Northwest served over 2,000 children, ages 3-18, through year-round clubs and two summer camps, Camp Dart-Lo and Camp Sweyolakan. Camp Fire's Promise: Young people want to shape the world. Camp Fire provides the opportunity to find their spark, lift their voice, and discover who they are. In Camp Fire, it begins now. Light the fire within. For additional information on local Camp Fire programs, visit www.campfireinc.org. Inland Imaging and Missoula Radiology combined their two professional radiology groups effective the first of this year. As Missoula Radiology and Inland Imaging, they will employ 72 radiologists making them one of the largest professional radiology practices in the Western United States. Visit Spokane has announced that Kate Hudson has joined the destination marketing organization as Public Relations Manager. Prior to joining Visit Spokane, Kate, a GU graduate, worked as a broadcast journalist. Primarily a TV news producer, she also did regular on-air work throughout her 18 years in the Spokane market. The region's first and only virtual reality driving simulator is in place at St. Luke's Rehabilitation Institute, giving patients realistic experiences and practice behind the wheel after an injury or illness. St. Luke's acquired the simulator thanks to grants from the Craig H. Neilsen Foundation, Empire Health Foundation and Providence Health Care Foundation. The system is an interactive, virtual reality driving simulator that allows St. Luke's therapists to help patients with spinal cord injuries, brain injuries, strokes and other physical injuries. With this in-clinic technology, in- and outpatient participants are able to regain confidence and independence re-learning safe driving skills without the stress of potential hazards of on-road driving. It includes approximately 80 scenarios resulting in an accurate and realistic road simulation. 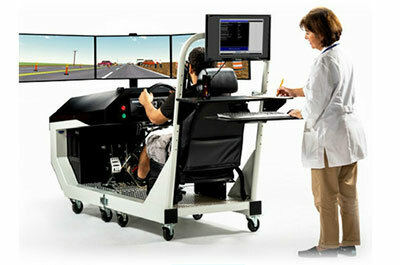 The simulator tests patients for vehicle control and reaction time; divided attention; memory, planning and navigation; passing/merging/hazard perception; and longer, more complete drives with the goal of assessing driving ability before an on-road driving evaluation. Get more information about St. Luke's Rehabilitation Institute at st-lukes.org. The West Plains Chamber of Commerce members are being asked to nominate any business or individual who is doing great things and needs to be recognized. Winners will be announced at the Best of the West Awards Gala on April 14. For more information and to submit a nomination, visit WestPlainsChamber.org/BOWBallot. Nominations will remain open until through February 22. 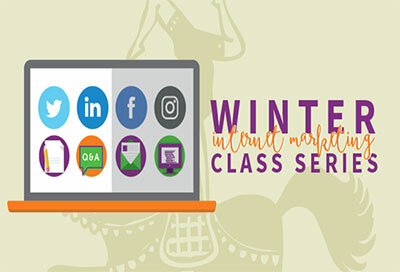 Deanna Tiemann, 'Social Ringmaster and Founder' of Squishy Peanut Marketing (and expert in internet marketing) is hosting a series of beginner to intermediate classes about many different Internet marketing topics. The classes will be held over 4 weeks, each Tuesday and Thursday from 10-11am, starting on January 24 at the Greater Spokane Valley Chamber of Commerce, 1421 N Meadowwood Lane, #10, in Liberty Lake. Learn about the top Social Media networks and compare pros and cons of each one, so you have a better idea of which one might work for you. They will touch on recent updates regarding the platforms as well as best practices for getting the most out of them. In this class, you'll learn about FACEBOOK for business. They will walk you through how to optimize your Facebook profile with the new Facebook layout, review best practices for posting content to Facebook, and teach you time-saving tips to get the most out of your Facebook marketing. Along with the prepared training sessions of these classes, you'll be encouraged to be active in asking questions so you can get the answers you need about your business. Classes will be limited to 10 attendees per class to keep sessions more personalized. Get more information and sign up by contacting Deanna at 509-210-2805 or info@squishypeanut.com. The Inland Northwest Business Travel Association has announced new officers and board for 2017. The Inland Northwest Business Travel Association is a non-profit organization whose members represent major corporations, small business and travel suppliers, providing members with information on the latest travel technologies and service advances, as well as current legislative issues in travel industry hot topics. For more information on membership benefits and upcoming events, visit www.inbta.org. 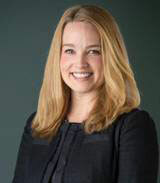 Erica Young - Chair Elect, Anderson, Peretti & Co., CPA's P.S. Kelly Fukai - Vice Chair, Schweitzer Engineering Laboratories, Inc.
Kevin Rasler - Vice Chair, Inland Empire Paper Co.
Barry Baker - Baker Construction & Development Inc.
Kevin Person - Wagstaff, Inc.